The MRT-7 Project involves the design, construction and commissioning of the 23-km railway line that will connect Quezon City and Bulacan. The system will have 14 stations namely North Avenue, Quezon Memorial Circle, University Avenue, Tandang Sora, Don Antonio, Batasan, Manggahan, Doña Carmen, Regalado, Mindanao Avenue, Quirino, Sacred Heart, Tala and San Jose del Monte. In addition, an Intermodal Transport Terminal (ITT) and Depot will be constructed at San Jose del Monte Station which will offer a seamless transfer of passengers between the metro rail and buses. This project is expected to significantly reduce travel time between Quezon City and Bulacan. 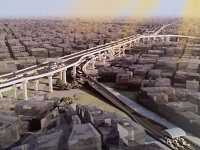 The MRT-7 Project is expected to be operational by 2020. The Coast Residences Project, owned by SM Development Corporation (SMDC) is located at Roxas Blvd., corner Dapitan St., Pasay City. This Project is a 39-storey Premier Residential Building composed of 6 podium levels, 1 amenity level, 33 residential tower levels and 1 roof deck level. It has a gross floor area of 110,264 sq. m. with 2,204 residential units. EEI’s scope of works are Civil, Structural, Masonry Works and Exterior Precast Walls which will be completed within 28 calendar months from August 15, 2015 to December 15, 2018. The Four eCom Center of SM Prime Holdings is located at the Mall of Asia Complex, Pasay City, beside the Three and Five eCom Centers. 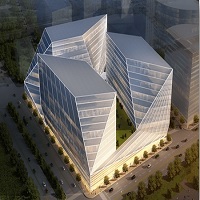 It is a LEED – Gold Version 3 Certified structure. This project is a 14-storey Office Building composed of 1 Basement level, 5 podium levels, three 10-storey office towers with 1 roof deck level. 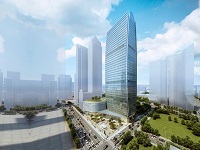 It has a total gross floor area of 194,025.44 sq. 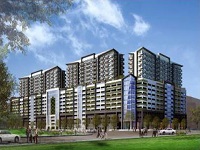 m. situated at lot area of 20,173 sq. m.
EEI’s scope of works are Civil, Structural and Architectural Works which will be completed within 26 calendar months from November 28, 2016 to January 28, 2019. 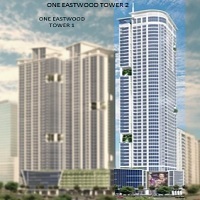 The One Eastwood Tower 2 project of Megaworld Corporation is located at Eastwood City, Bagumbayan, Quezon City. This project is a 52 storey Residential Building composed of 3 Basement level, 7 podium levels, 42 storey residential tower, 1 crawl space level for swimming pool at 52nd floor, 1 machine deck level and 1 roof deck level. It has a total gross floor area of 60,401 sq. m. with 622 residential units. EEI’s scope of works are Civil, Structural and Architectural Works which will be completed within 35 calendar months. The Metro Manila Skyway Stage 3 Project is a Design and Build contract between EEI Corporation and Citra Express Corporation (CCEC), the proponent, concessionaire, and implementing body, and San Miguel Corporation (SMC), the majority owner of CCEC. The Project is divided into four sections, of which EEI will be doing improvement works in selected at-grade sections and will be constructing sections 3 and 4. Section 3, which is 2.71 kilometers long, runs from Aurora Boulevard to Quezon Avenue, while Section 4, with a distance of 4.81 kilometers, stretches from Quezon Avenue to Balintawak. The project includes a 5.29 km single deck structure, a 145-meter at-grade section and a 2.08km double-deck structure – the first of its kind in the Philippines. 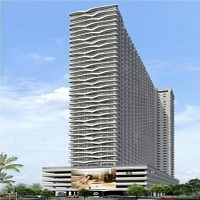 Fame Residences Phase 1 of SMDC is located at EDSA corner Mayflower Street, Brgy. Highway Hills, Mandaluyong City. This project is a 41-storey Residential Building composed of 1 STP level, 6 podium levels, 1 amenity level, two 34 residential buildings with a roofdeck level. It has a total gross floor area of 157,207.20 sq. m. with 2,420 residential units. Bayshore Residential Resort is the first development of Megaword in their 100 hectare property in the Entertainment City, Manila. This project has a total Gross Floor Area of approximately 266,000 square meters composed of nine parking levels and eight residential levels. EEI’s scope of work for the General Construction Works will have a duration of thirty six months. The Air Residences Project of SMDC is a 59-storey Premier Residential Building composed of 3 basement Levels, 6 podium levels, 1 amenity level, 49 tower levels, and a roofdeck level. It has a gross floor area of 189,819 sq. m. with 3,642 residential units. EEI’s scope of work include the civil, structural, and architectural works which is targeted to be completed in November, 2019. 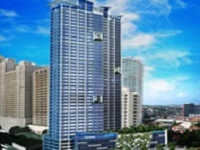 The Finance Center Project, owned by Daichi Properties, Inc. is located at 25th Street corner 9th Avenue corner 26th Street, Bonifacio Global City in Taguig City. With a total floor area of 126,560 square meters and height of 180.23 meters, the building is composed of 5 basement levels, 2 retail levels, 5 podium parking levels, 2 mechanical levels, 32 office floors, and 3 mechanical deck floors. The general construction works include the civil, structural, and architectural works. The project ‘s construction duration is 36 months. 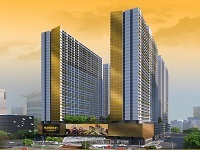 The Double Dragon Corporate Center and Sky Suites Project, owned by Double Dragon Properties Corporation, is located at the corner of EDSA and Quezon Avenue, Quezon City. The project is composed of a 37-storey residential building (Sky Suites) and a 26-storey building (Corporate Center), both with roof decks, a 5-level basement, and a 7-level podium including the ground floor and mezzanine. EEI is doing the Civil, Structural, Exterior Architectural Works, and Attendance to Nominated Specialty Contractors. One Eastwood Avenue Tower 1 of Megaworld Corporation is a 45-storey building which stands on an 86,000-square meter lot at Eastwood City. It is composed of 37 residential levels, 3 basement levels, 3 podium parking levels, and 1 floor for amenities. EEI is doing the civil and structural works and architectural works which include floor, wall, and ceiling finishes, and painting and waterproofing works. 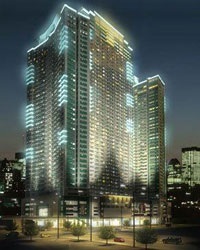 Noble Place, a high-end residential building of Megaworld Corporation, is located at Binondo, Manila. 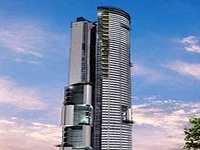 It is composed of 47 floors with 37 residential floors, 1 basement, 7 podium levels, and one floor for amenities. EEI is working on the civil and structural works, and architectural works including the floor, wall, and ceiling finishes, painting and waterproofing works. 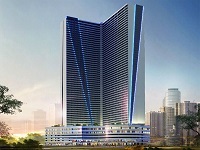 After the successful construction of Towers 1 and 2, EEI will be constructing Beacon Tower 3, or the Amorsolo Tower. This is located at the corners of Don Chino Roces and A. Arnaiz Avenue, Barangay Pio del Pilar, Makati City. 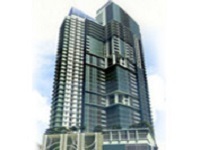 The Amorsolo Tower is a 46-storey residential building composed of six podium levels and forty residential levels. It has a total floor area of 52,149 square meters. EEI’s scope of work includes the Civil, Structural, and Architectural Works. Construction started last April 7, 2014 and is expected to be completed by April, 2017.